Philippine Airlines (PAL) started life as the Philippine Aerial Taxi Company in 1935. In 1941, Filipino industrialist Andres Soriano Sr. acquired the company, and the national airline was born. 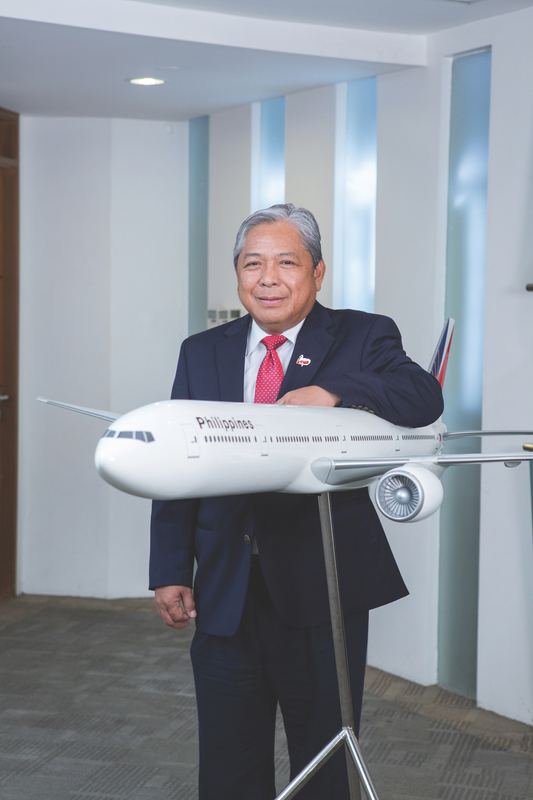 This year, as the company celebrates 75 years as the Philippine flag carrier, President and Chief Operating Officer Jaime J Bautista is proud of its history. “No other Philippines-based airline can claim 75 years of being in business,” he says. In the 1940s, it became the first Asian airline to cross the Pacific and the first South East Asian airline to fly to Europe. Over the years, it continued adding to its domestic and international destinations and expanding its fleet. In the late 1990s, the airline had to scale back significantly to cope with losses caused by the Asian financial crisis. It went into receivership until 2007, during which time it worked on recovering from the setback. Now, the company is prosperous once more. Philippine Airlines has put strategies in place for rapid international growth, with new airplanes, destinations and services. The airline flies to 30 domestic and 43 international destinations, and is looking to expand the number of routes and flights in and out of Europe, the US, Middle East, Asia and Oceania. It is acquiring brand-new Airbus A350-900s, expanding its fleet to nearly 80 aircraft. This year, as the company celebrates 75 years as the Philippine flag carrier, President and Chief Operating Officer Jaime J Bautista is proud of its history. “No other Philippines-based airline can claim 75 years of being in business,” he says. Now that the airline is once again extending its global reach, Jaime wants all employees to “rally towards a single goal — to become a five-star airline”. The focus is on customer service and providing a superior experience to PAL passengers. Jaime believes his employees’ long years of service in the aviation business will help PAL achieve this goal. “Many loyal PAL staff spend lifelong careers with us, equipping them with valuable experience on how to handle all situations. Many of them comprise generations of families who have served at PAL, handing down insightful lessons on doing their jobs well through the generations,” he explains. The airline will enhance its inflight offerings, with new entertainment system and a free inflight entertainment app allowing passengers to stream content on their personal devices. It will also provide inflight wi-fi and mobile roaming, allowing passengers to use the internet and their phones on board the aircraft. And some of the Philippines’ top chefs are working with the airline to update its inflight cuisine. Another goal for the company is to join a global airline alliance. Philippine Airlines has partnership agreements with a number of airlines including Etihad Airways, Cathay Pacific, Gulf Air, WestJet, Malaysia Airlines and Turkish Airlines. However, joining a global alliance would extend its international reach substantially.